Sherry FitzGerald O’Meara bring Shannon View to the market - an exceptionally large seven-bedroom dormer bungalow. Measuring approximately 2,850 square feet and sitting on an elevated three-quarter acre site, the home offers views of the surrounding countryside and of the River Shannon. 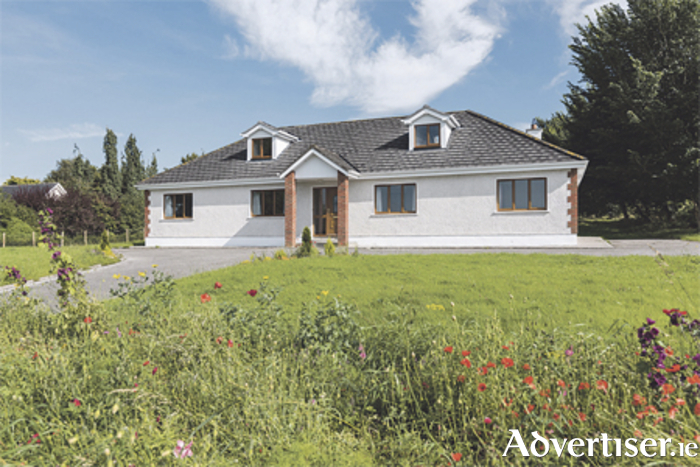 The property is situated a short distance from Clonmacnoise Monastic Heritage Site, which has approximately 125,000 visitors per annum or 2,500 per week, giving it the potential to become a lucrative B&B. Alternatively, the property stands as a home ready to accommodate the largest of families. It is presented in excellent condition throughout and is ready to move into. The home also offers convenience by being a short walk from St Kieran’s National School and a short drive from the picturesque village of Shannonbridge with its shops and pubs. The interior offers seven bedrooms, two reception rooms, eight bathrooms, central heating, and attractive decor. The exterior offers gardens, private parking, and a well. The home is approximately 232.9 square metres with a BER B3 energy rating. For more information contact agent Dermot O’Meara on (086 ) 2551082.